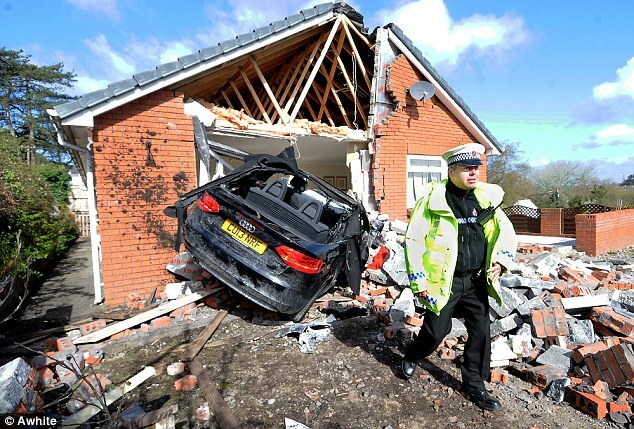 This Audi A3 2.0 TDI convertible crashed into a house in Swansea yesterday. The driver had collapsed at the wheel and the car crashed through the house's gate, up the drive and straight into the living room. No-one was in the room at the time. 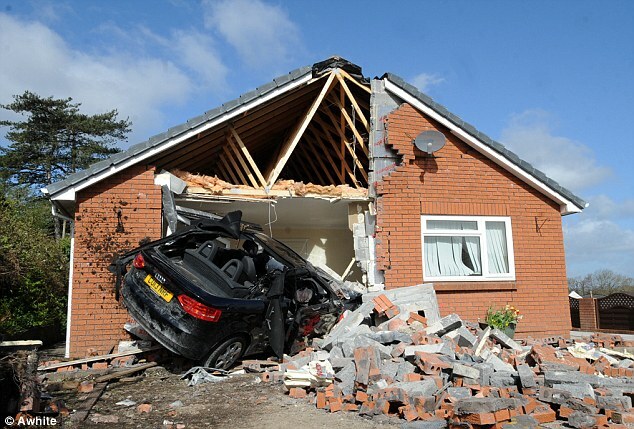 The crash happened at 7am when the owner was in the kitchen. The living room door wouldn't open so she had to go out the back door to see what had happened. The owner of the A3 is in hospital with minor injuries. The car was only registered on 1 March 2013.